Which Nutrients And How Much? In contrast to a simple A-Z, NutriShield combines 43 different nutrients identified from the world’s healthiest diets, adding Omega 3 and a range of anti-inflammatory and anti-oxidant compounds from fruits and vegetables to the essential vitamins and minerals. Some people stay healthier, live longer and age slower. Their nutrition is a major factor, especially as we now know that certain nutrients can even switch ‘good’ genes on and ‘bad’ genes off. Nutrishield looks, and is, a very different supplement – the result of over 35 years research into diet, nutrition and long term health. Each day-pack contains a full range of vitamins and minerals of course, (at optimum not just RDA levels), plus Omega 3, Vitamin D3 and many other plant derived nutrients including lycopene, lutein, curcumin and green tea extract, which are anti-inflammatory nutrients. These have all been found, in significant amounts, in diets linked to long-term health and longevity. Even the most health conscious person would find it difficult to get the following combination day after day from their normal diet. NutriShield contains all these nutrients. Because researchers now recognise that “chronic sub-clinical inflammation” is a key underlying cause of ageing and declining health as you get older. It triggers health problems like heart disease, stroke, arthritis, diabetes, dementia and even cancer. 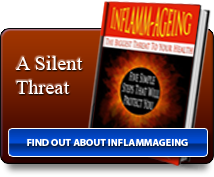 There’s a FREE E-BOOK called “Inflamm-ageing” you can download below and a video to watch. 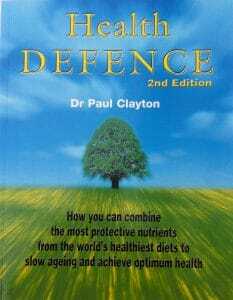 NutriShield is based on 30 years of research by Dr Paul Clayton, an internationally recognised health scientist. 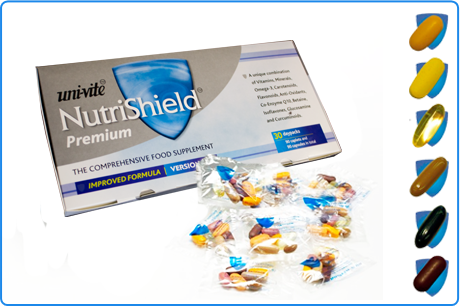 There are two versions of NutriShield, both adding naturally derived anti-oxidant and anti-inflammatory nutrients to an optimum level of vitamins and minerals, which are important at any age to support your heart, brain, eyes, skin, bones and joints, and to maintain a healthy immune system. NutriShield Premium is ideal for over 50s, delivering further powerful specialist food extracts including carotenoids (lutein, lycopene, beta- and alpha-carotene, cryptoxanthin and zeaxanthin), co-enzyme Q10, soy isoflavones, betaine and glucosamine. 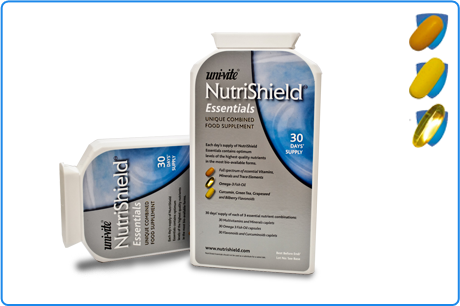 WHICH NUTRISHIELD FORMULA IS RIGHT FOR YOU? 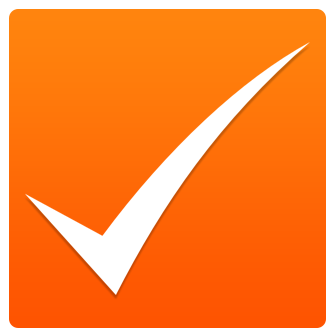 NutriShield has been independently tested. 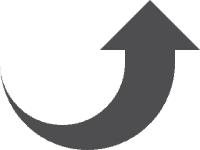 Its unique combination significantly outperformed a one-a-day A-Z vitamin supplement. Scientific American reported on the increasing medical science consensus that internal inflammation is a key cause of ageing. An effective supplement for female health must obviously include a full spectrum of vitamins and minerals. These include vitamin B6 which contributes to the regulation of hormonal activity and with B12 contributes to normal energy release. Folate and B12 … Read More..
What nutrients, at what levels, actively support your body’s continuing health? 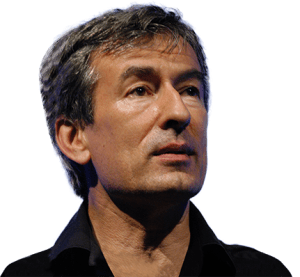 How and why do the age-related degenerative diseases occur and how can an optimum diet cut your risk of them developing? What is the most reliable, peer-reviewed research to guide a truly effective supplement? In other words, what would an ideal day’s nutritional intake consist of? Feel free to browse a host of articles, many of which have been produced by us and are specific to a wide range of health issues. 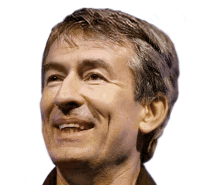 In this section of the website you will be able to find the latest industry news, updates and general information concerning health issues that can affect everyone.